Give your ride some attitude with the black and gold 10sB. The black color not only adds a unique accent to any bike, it also protects against corrosion. The 2016 10sB is optimized for shifting on Shimano, Sram, and Campy systems due to a new plate design and riveting process. 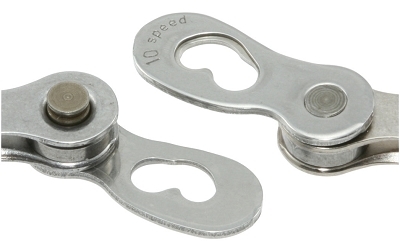 Plus, you get a tool-free, reusable Connex link, so cleaning your chain is a breeze. 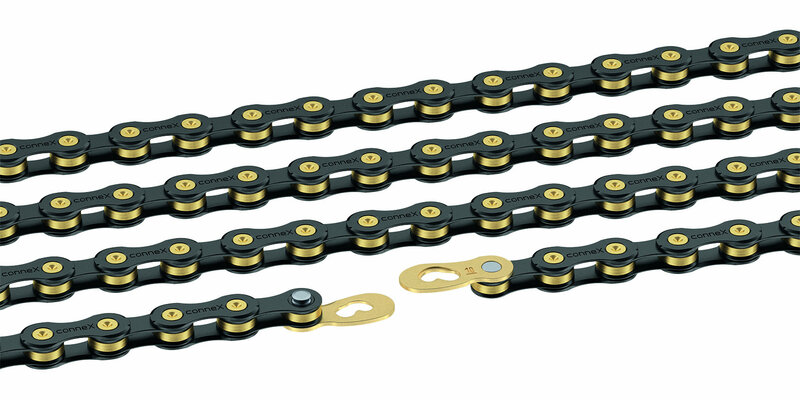 Stainless steel inner links and high-grade ultra black coated outer plates make this chain extremely resistant to wear and corrosion. 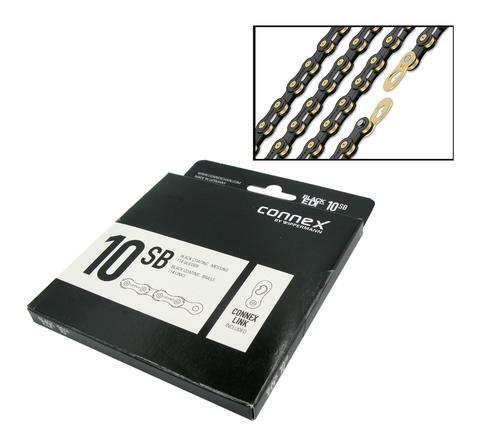 Includes one gold 10 speed Connex Link.